Feb. 15: Brandon Ross’s Immortal Obsolescence – Sound It Out! 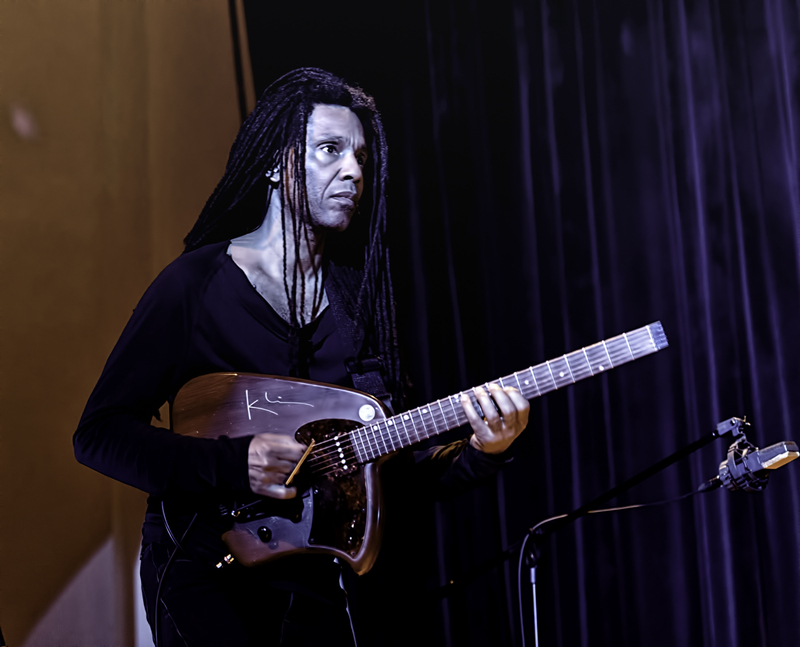 Guitarist Brandon Ross has collaborated with a who’s who in progressive music, from Cassandra Wilson and Me’Shell N’degeocello to Henry Threadgill and Wadada Leo Smith. The Paris Review has described Brandon as “a one-man atmosphere factory, availing himself of all the sounds — cries, squeaks, cracks, fuzz, whispers, organ-like echoes — that an electric guitar, in the hands of a master, can produce.” Brandon’s own various groups — the atmospheric power-trio Harriet Tubman, acoustic quartet Blazing Beauty and subtle duo For Living Lovers with bassist Stomu Takeishi — explore an extraordinary range of instrumental beauty. The guitarist returns to the Sound It Out series with his latest ensemble, Immortal Obsolescence, which features Takeishi, drummer JT Lewis and the great Graham Haynes on cornet and electronics.